The main compartment opens wide what allows to get notebook easily in and out. Backpack has external pocket for accessories. 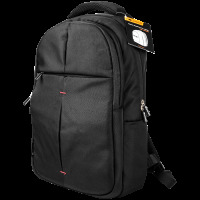 This Smart backpack has a universal design and is perfect for everyday use. We take a responsible approach to the development of new models and consider the needs and responses from our consumers. This model is a clear confirmation.